The pace of innovation creates challenges for customers to keep up, so events like this are essential to educate customers. Microsoft sometimes also renames products and moves features from one product to another which causes further confusion. Presentations were geared toward government scenarios, with particular emphasis on new Microsoft Azure and Dynamics offerings in the Microsoft government cloud. 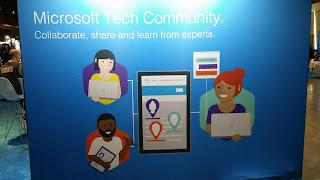 For instance, Microsoft is promoting their Teams collaboration product for government customers, and Power Apps to allow power users and non-developer developers (called citizen developers) to create solutions through configuration rather than coding. 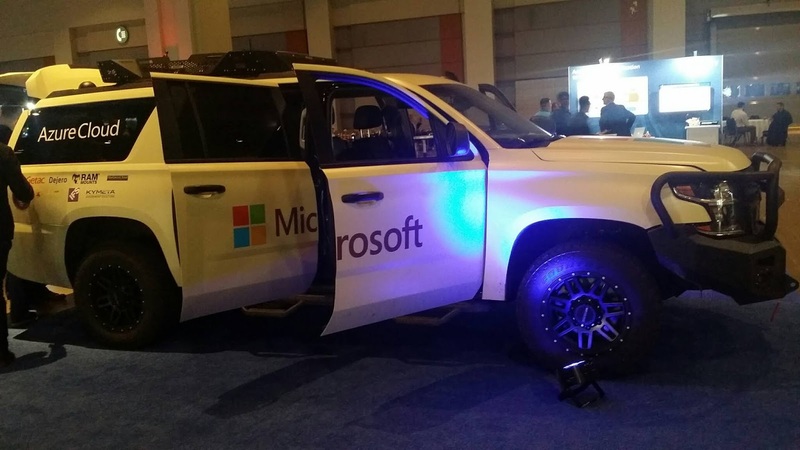 Azure now offers higher security versions for government customers than ever before. Workplace diversity was a key theme for Microsoft's booth and some presentations. 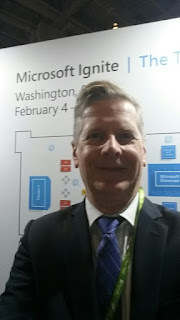 Large government integrators such as IBM and General Dynamics were well represented as exhibitors at Ignite, along with third party software vendors that are important in the Microsoft business ecosystem. 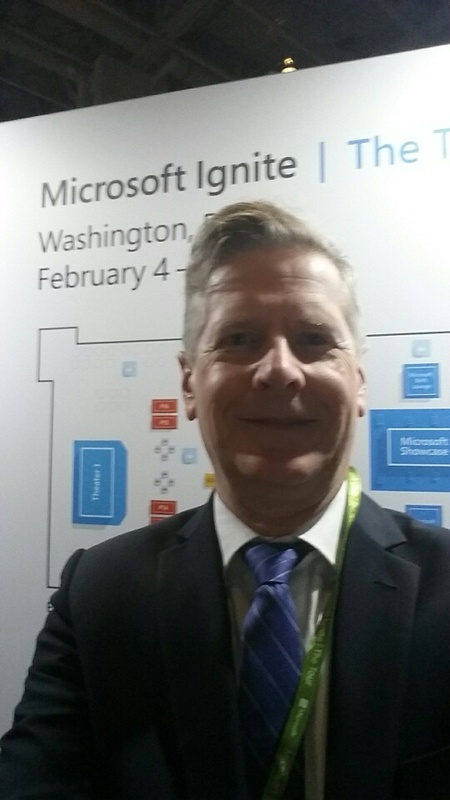 I enjoyed seeing Dave McDonald, director of the Microsoft Technology Center in Reston, VA at the show. He brought along one of the coolest Microsoft showcase items, a Ford truck tricked out not only with a winch but tons of tech. The event drew many local Microsoft MVPs who were presenters as well as sharing their knowledge in the Microsoft booth. The road tour of Ignite shows Microsoft's commitment to share knowledge with its customers and partners all over the world. Check and see if it is coming to a location near you. For those who cannot attend in person, sessions are available online to view on demand. If your focus is government, you may want to review some sessions here that are not likely to be repeated in other cities.